If you’re looking to find an excuse to break free from out-of-town family who’ve kicked you to that less-than-cushy air bed you regretfully picked up slightly used from Craiglist, a trip to the Tractor tonight will be just what that doctor and your ailing back ordered. 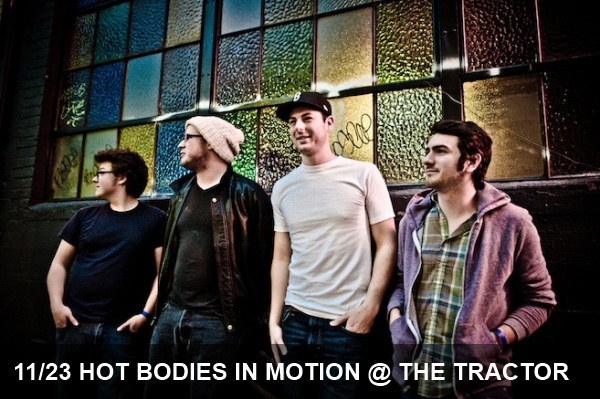 In addition to being Kris Orlowski‘s highly anticipated album release show, the all-local lineup kicks off with Smokey Brights and concludes with Hot Bodies in Motion. You’ll find the opener and headliner feature smooth-voiced frontmen along with exceedingly capable backing musicians who are prone to lay down grooves that will force even the most stationary crowds into sways and foot-tapping at the very least. From Orlowski himself, expect a set that exhibits his David Bazan-influenced vocal style and pensive lyrics. Be sure to get there around 9:30 or so, so you don’t miss a song from three local bands with arguably the most widespread appeal of any groups calling Seattle home today.